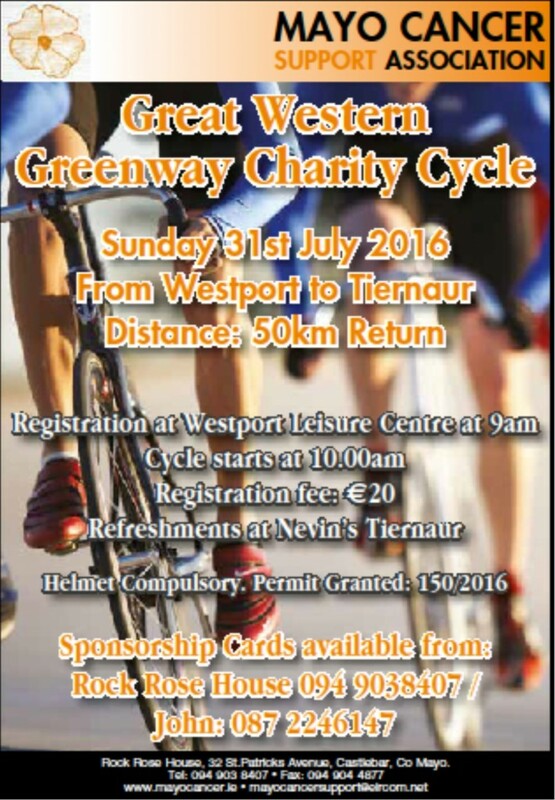 The 6th Annual Great Western Greenway Cycle in aid of Mayo Cancer Support Association, Rock Rose House takes place on Sunday 31st July 2016. This year’s cycle is approximately 50 km return and runs from Westport to Tiernaur. Sponsorship Cards are available from John Tiernan: 087 2246147, Rock Rose House: 094 9038407.